Got some old bottlings of Bruichladdich for you today. I tasted these recently in a little bar in Chamonix, Mt. Blanc, France where I was skiing. 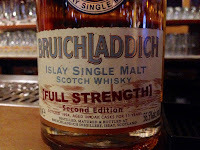 Le Vagabond has a pretty awesome collection of Bruichladdichs and I was tempted to taste the 1970 175th Anniversary edition, but it was expensive of course. I went for these 3 instead. Nose: Really fruity, tropical fruit, pineapple, juicy mango, light smoke. Similar to HP15 on the nose. 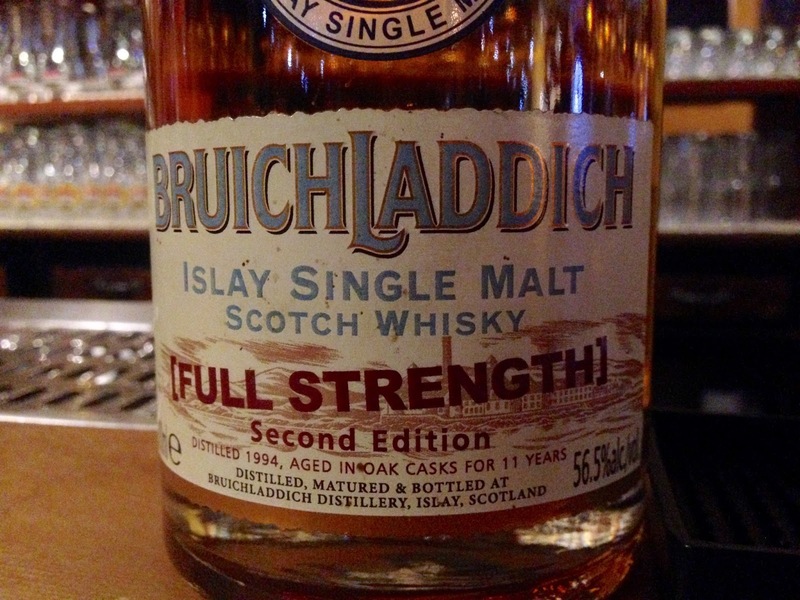 Taste: Light smoke, wood smoke, ash, a little almond, very dry oak, dry spice, some dried mango. Finish: Medium length. More dry oak and a little fruit. 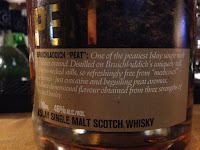 A very dry and fresh Bruichladdich, lightly peated and meant to be quite marine I think. Nose: Similar style to Waves but more smoke. Pineapple, chalk, orange, a feeling of oiliness. 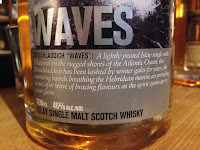 Taste: Soft arrival, peaty (duh), green olive, oily, some mango fruit, then a little earthy. Finish: Medium length. 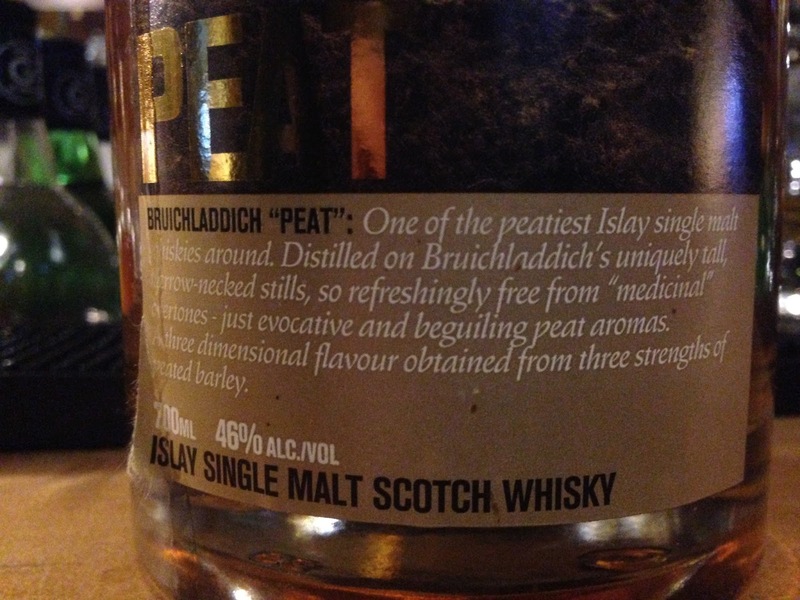 More oily and peaty. Interesting, not really Port Charlotte style, which is what I was expecting. Nose: A fresh natural one. Pear drops, green apple, bracing lemon, refill oak, slight lactic note, almost off milk, malted milk biscuits. Pineapple and caramelised onions after a min. Water: Laddie minerality, orange peel, more spices. More floral with more water. Taste: Soft start, builds with lovely lemon, green apple, really fresh, refill oak and some spice comes in, ginger and white pepper, and green apple and lemon continues. Water: Really soft, orange, dry oak, toffee, then lots more oak and spice. Less balance. Finish: Long length. More of the green apple and lemon citrus, then oak and spice continue to linger. Much better without water, shame I added any really. Reminds me of my 2007 Micro-Provenance. These were good but not great bottlings. 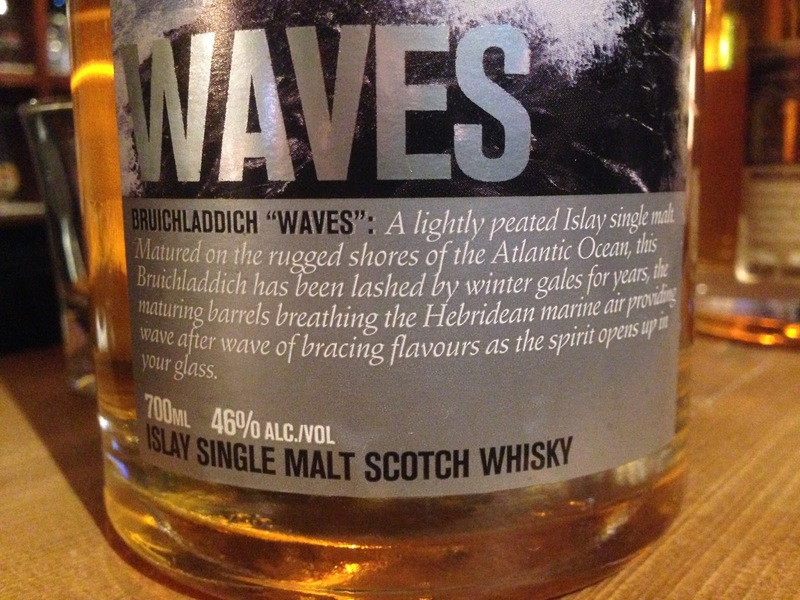 Think Bruichladdich were doing well until they ran out of stocks and are only now hitting their stride again with the new 10 year olds/new black art. Looking forward to what they'll be doing next.